some matters : --Carefulness read narrate book of battery,use commendatory battery. --Research the electric appliance and the HP Pavilion dm4-1000 laptop battery contact elements is whether clean, when necessity is clean with the wet cloth mop, after dry loads according to the correct polar direction. --When non-adult custody, don't let the child replace the battery, compact battery like AAA should place the place which the child cannot attain. --Don't make new and old or different model battery put off. --Don't try to make battery HP Pavilion dm4-1000 rebirth use hot up, charge,or other way. --Don't let battery short circuit. 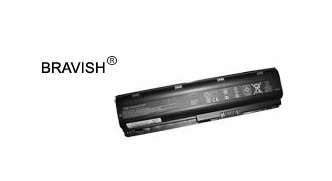 --Don't hot up laptop battery for HP Pavilion dm4-1000 or loss it in water. --Don't strip battery. --Electro-adapter should cut switch after use. --Should take off HP Pavilion dm4-1000 battery from adapter when battery long time no use . --Battery should stock in cool place,and dry.